A sizeable bulk of our time in Chiang Mai was spent in the city’s amazing coffee shops, so it’s been a great pleasure reviewing them and reporting back to you! We’re not sure what a doctor would say about our caffeine intake – but it’s all in the name of research! Chiang Mai and coffee shops go hand in hand! All the coffee shops we’ve reviewed in Chiang Mai have to fit a certain criteria to be included in our coffee shop review. and obviously serve amazing coffee! There are hundreds of coffee shops dotted around Chiang Mai, and these are our 10 absolute favourites – mainly located in Chiang Mai’s old city or around the Nimmanhaemin area. Check out our super duper Chiang Mai Coffee Shop interactive map! View Chiang Mai Coffee Shops in a larger map. 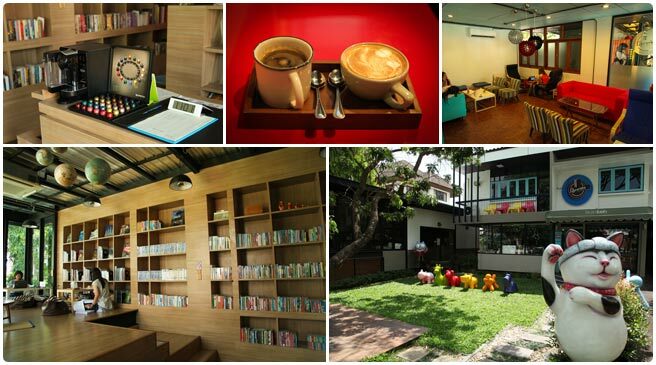 Librarira is probably the most sophisticated coffee shop in Chiang Mai we’ve visited. First thoughts are that it’s like an art museum café back in England; incredibly modern décor, expensive looking fittings, and comfy chairs! With an attached library and clean lines it’s uber cool The library is stunning, with English and Thai language books. There’s also a meeting room upstairs. Pros: Jaw dropping décor, comfiest chairs in our review. Cons: Low tables, a bit more expensive (but worth it)! 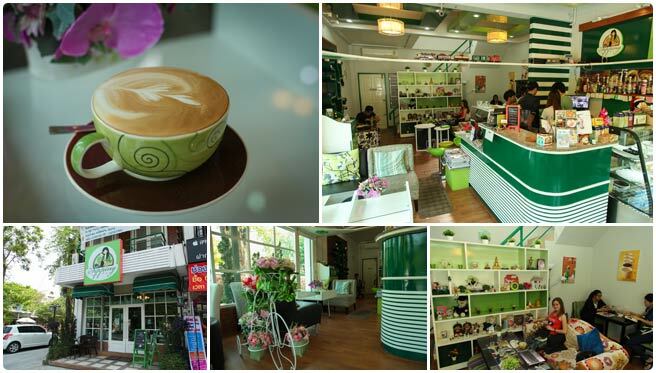 Café de Thaan Aoan is one of our most frequented coffee shops in Chiang Mai as it was so close to our apartment! It’s a very mellow café, quiet music, ever happy staff, English language newspapers, good furniture – tables and comfy chairs for working and a sofa for relaxing. Shaded and sunny spots out the front if you like to sit outside. Plus loads of cake options, and HP sauce on offer if you’re ordering food! Charge Points: Two, but sometimes have an extension lead available! Cons: Lack of charge points, the ambiance music seems to be set on loop (James Blunt a lot of the time)! Situated right near the main Chiang Mai university campus, Sipping Coffee is one of our favourite Chiang Mai Coffee Shops for its sheer coolness. From the kitch ornaments on the large shelves, to the model railway above your head when you walk in! With a cosy, stylish vibe, plastic flowers and comfy chairs and glass tables – It’s a great place to work or just flick through their many coffee books and magazines! Hot tip! 20% off on Wednesdays! Pros: Far from Chiang Mai’s old city, 20% off on Wednesdays. Cons: Far from Chiang Mai’s old city. We first came here because we heard they sold Vietnamese coffee, but don’t come here especially for that. The outside and inside seating arrangements are a mixture of table and chairs, and big fat comfy single sofas. They’re incredible – great for those long sessions!. There’s two computers available to use (free for 20mins). Décor thoughts: Well lit, airy, mixture of brick and dark wood. Rustic, earthy vibe! Pros: Comfy seats, extra friendly staff, well priced, they sell Beer Lao! Cons: The charging fee, the bad Vietnamese coffee. Sweet Love Coffee – Very pink! In and outdoor seating, floral covered tables, hearts and soft pink cushions, old Christmas decorations, low sofas, crystal chandeliers and flower pot men guarding the front door makes Sweet Love Coffee an interesting place to get caffeinated! Décor thoughts: It’s pink! A lot of pink everywhere. Did we mention pink? Try: The ‘Sweet Love’ Americano! Location: Thippanet Road (at Wua Lai 6). Pros: Always quiet, quirky decor. 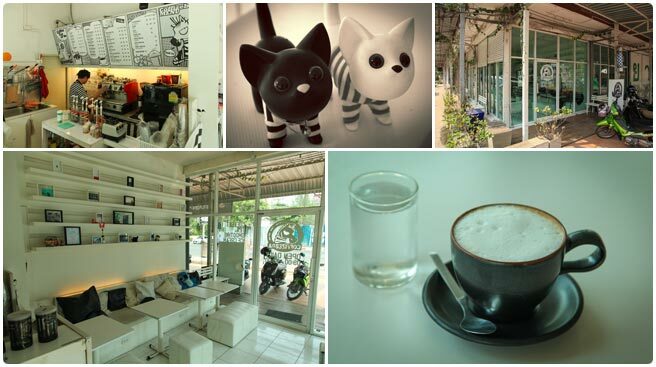 Escape the carnage of Suthep Road and enter the cool, white and black world of CoffiZebra. Keeping to a zebra theme, the main area when you enter is prominently white, with white seats, cushions tables and chairs – while the other area behind is black – black cushions, table and fittings. Hot tip! 10% off on Thursdays! Charge Points: Charger heaven – There’s one for every seat! 2 points! Pros: 10% off on Thursdays, chargers everywhere! Well priced. Cons: Some of the white furniture looks a bit worn. 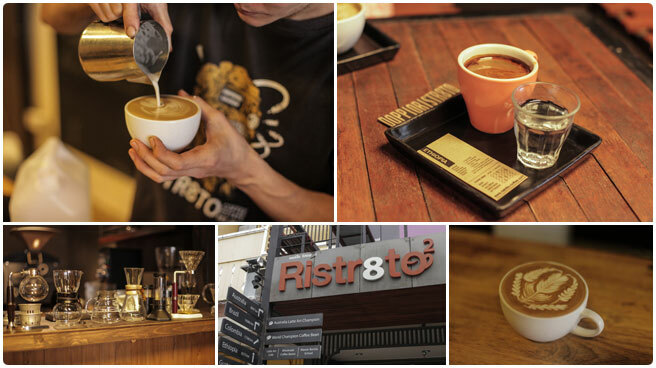 A real coffee lover’s coffee shop, Ristr8to is loaded with some pretty amazing coffee options. After our Coffee tour with ‘Koffie’ when we were exploring the Bolaven Plateau by motorbike on our second visit to Laos, we were lucky to learn a lot more about the fine points of coffee production. We were pleased to see that Ristr8to had several ‘single origin’ coffee bean sources. Plus their head barista is a latte art pro! The prices reflect this. Décor thoughts: Wood, brick and black walls, chalk boards with loads of coffee related stuff. Old, geeky and highly scientific coffee making utensils on display, indoor and outdoor seating. Pros: If you love coffee and its fine points, this place is for you. Cons: If you want to kick back and chill in a comfy quiet coffee shop or get some work done, this place isn’t for you. Coffee Bar came highly recommended to us as one of Chiang Mai’s popular digital nomad hangouts, and we stumbled across it by accident one day on our coffee shop quest. It’s a popular little place, especially with young Thais and students. The sort of place people stay for a long time, sipping their drinks while studying and generally not feeling rushed! The garden at the front is particularly funky with loads of quirky touches. Décor thoughts: Retro, rustic yellow/blue/brown wood, mock leather armchairs, good work areas. Pros: Hip studenty vibe, quite communal, no pressure to drink and go! Cons: Relatively few seats, it might feel a bit too communal for some. Weirdly named after the Marble Arch underground station in London, one of Chiang Mai’s most upmarket coffee shops, Marble Arch is one of our favourites and most visited on our coffee shop list. Marble Arch is a nice place to be, is well lit and relaxed with obviously decorative references to Marble Arch and London in general! 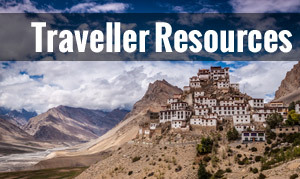 It’s set-up for people who want to work; digital nomads and students alike! There are bench-style worktops in the windows and tons of chargers. There’s also an expansive upstairs area that’s never open! Try: Marble Arch Coffee – The best latte EVER. 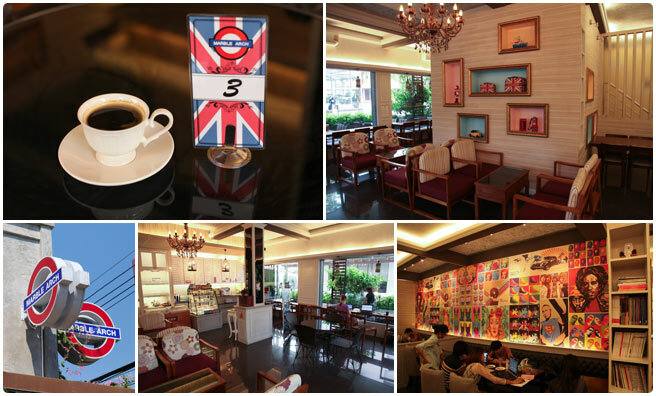 Pros: Stunning décor, best latte in town, heavy on the Union Jack flags! Cons: Tad expensive, I would like to sit upstairs! So there we have it! Sorry if we’ve missed off your favourite! Where have we missed?! 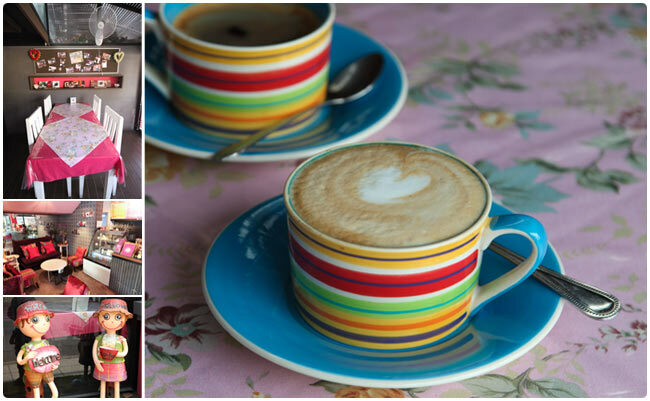 21 Responses to The 10 Best Chiang Mai Coffee Shops! They all look so good! Not the shacks I was expecting. Adam – Tropical Nomad recently posted…Run in with the Thai Mafia on Phi Phi.. Fantastic post! We were on the lookout for a new cafe to try and Marble Arch is just around the corner. We discovered that they have a “Morning Discount” between 9am-12pm – 50% off all drinks. They also only offer 1 hour of free charging for each order you make, otherwise it’s 20 THB per hour. We’ll have to investigate some of your other top picks, too! That’s epic! Marble Arch was an absolute favourite, it was a bit far from where we were staying in the city but we always scootered out there especially! You’ve GOT to try their M.A Latte – If you don’t love it I’ll send you the money for it… In fact – drink one for me! Enjoy Chiang Mai – I seriously miss it! If you ever come back then check out http://chiangmaicoffeeculture.blogspot.com/ for some great coffee spots! Is it me or does this top 10 list only have 9 coffee shops listed? Thanks for publishing the info about these coffee shops. 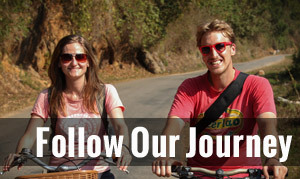 We’re coming to Chiang Mai for 3 months at the end of October so will be exploring them all! 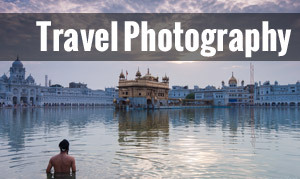 Stuart Edwards recently posted…Travel Photo Roulette #67 – Travel Fails! Librarista is definitely a good one, quiet and meeting rooms for rent. ristr8to certainly the best coffee but not so great to work. Next time try CoffeeMonster, should meet your requirements. Coffee Monster! Haven’t heard of that one. Will 100% hit that up next time. Does anyone know if CoffiZebra is closed for good? I live around the corner and haven’t seen them open for 2 weeks. Also, we just popped into Marble Arch this morning and were told they don’t have a morning drink special anymore. Boo! 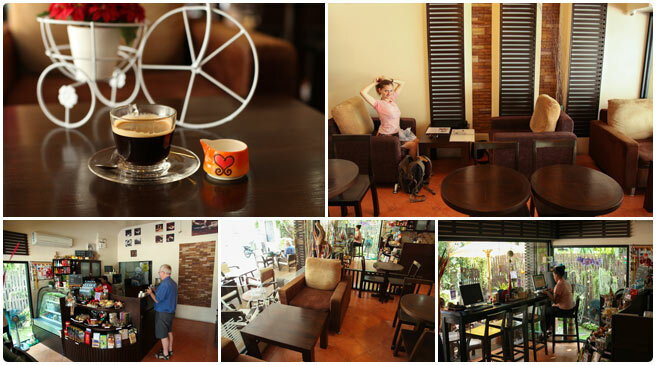 I was looking for nice coffee cafes in Chiangmai that I never go (I know there are a lot..) , and your review helps me. I will go to ones of the list soon. Thank you! This is just what I needed! I’m headed to get some work done now, and I think I’ll go to CoffiZebra for the cool atmosphere and ample plugs (brilliant thing to mention, by the way). There’s a few new good ones that have popped up since this post. I’m at Local Cafe right now in the Think Park, opposite Maya. I reckon you would really like it. Its very helpful thank you. I’ve been CM already a year, but Chinese website always have different ideas with western’s, and I was so impressed that there are so many café in CM after reading Laura comment. Will go soon and taste them one by one! !